Every year it seems the business world waits in anticipation for a range of lists published by Fairfax entity BRW. The big one, of course, is the rich list, which not everybody is happy to be a part of. The most interesting one, however, is Australia’s Fastest Growing companies, which was released earlier this week. Now in its 26th year, the 2015 BRW Fast 100 list charts the growth across several decades of some of Australia’s most successful businesses, based on their average annual growth rate over the last four years. Also released was Australia’s fastest growing companies under four years old, otherwise known as the BRW Fast Starters, who are ranked by total annual revenue. Here’s the full list of the 2015 BRW Fast 100. The following is a quick snapshot. 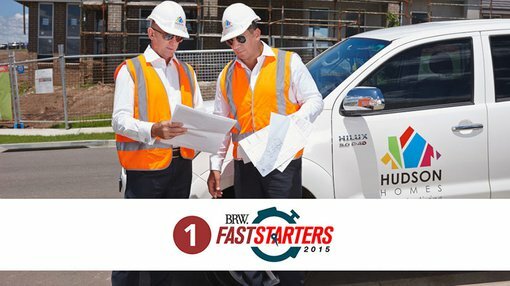 ● Business services and retail trade are the two most popular sectors on both the BRW Fast 100 and BRW Fast Starters lists. Online Education Services is a joint venture between Swinburne University of Technology and online employment giant SEEK. The business delivers tertiary education to more than 5000 students, three-quarters of whom are studying part-time, and one in four of whom live in regional and rural locations. Topping the list of Fast Starters was Hudson Homes, who sell house-and-land packages in NSW, and has enjoyed a fat funding pipeline thanks to chief executive Danny Assabgy. Assagby funded Hudson Homes from a forerunner business, Equiti Private Wealth, which sells US property to Australian retail investors and taps the same networks of distributors.